The Presidents of the United States of America, The Fastbacks, Krist Novoselic, Vaporland, Duff McKagan’s Loaded, The Long Winters, Visqueen, Valis (former Screaming Trees), Campfire OK, Champagne Champagne, Ravenna Woods, Crypts, TacocaT, Vendetta Red, and more. 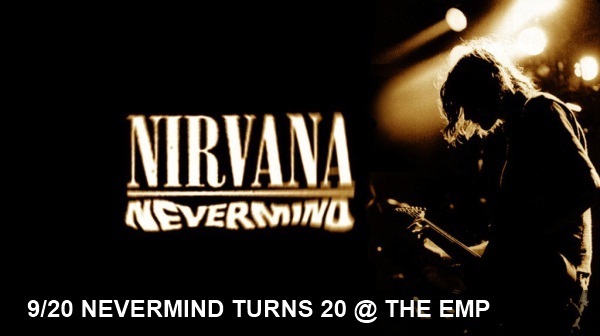 After Nevermind there will be a special encore set of Nirvana songs played by artists including Young Fresh Fellows, Pigeonhed, Cobirds Unite, The Tripwires, Shelby Earl, Stag, SEACATS, Cali Giraffes, and Tom Price Desert Classic. If that wasn’t compelling enough, all proceeds from tonight’s show will go to helping “longtime Seattle music industry maven” Susie Tennant who was recently diagnosed with cancer. Visit http://susietennantfund.bbnow.org/ to make a donation. Funds raised go toward medical expenses and family support throughout Susie’s extended cancer treatment.